Desirable floor plan with an open concept kitchen and bedrooms that are not side by side. New flooring and appliances installed in late 2016. Little to no road noise. Enjoy a partial mountain and courtyard view from a generously sized balcony (BBQs allowed). Amenities include an indoor pool, hot tub, sauna, large fitness centre, bike room, and lots of visitor parking! In Sonrisa, arguably the best managed, landscaped & maintained strata in Port Moody – with a massive contingency fund too! 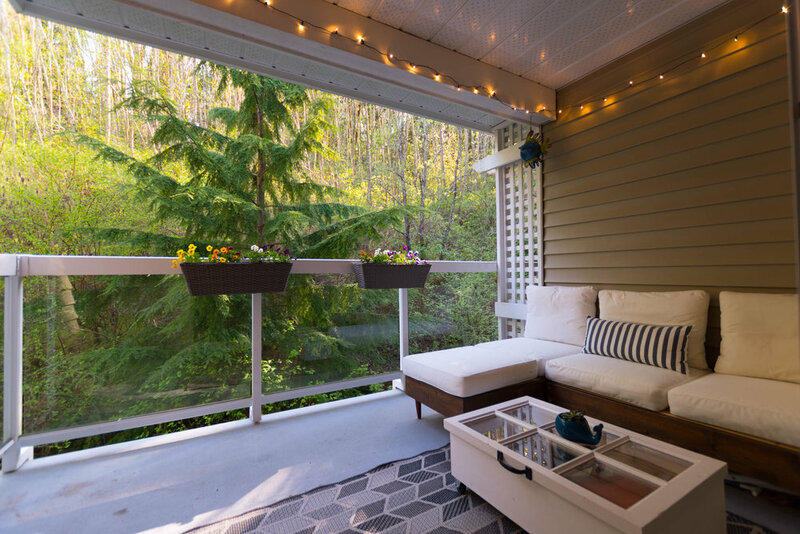 This is a commuters’ dream location, Waterfront station is 50 min from your door via Evergreen Line, and 32 min from your door via West Coast Express. Just up the hill from Rocky Point Park, trails, the water, and countless great breweries! Community plan to expand the neighbourhood! New record for the highest sale price of a 1-bedroom condo in this complex! 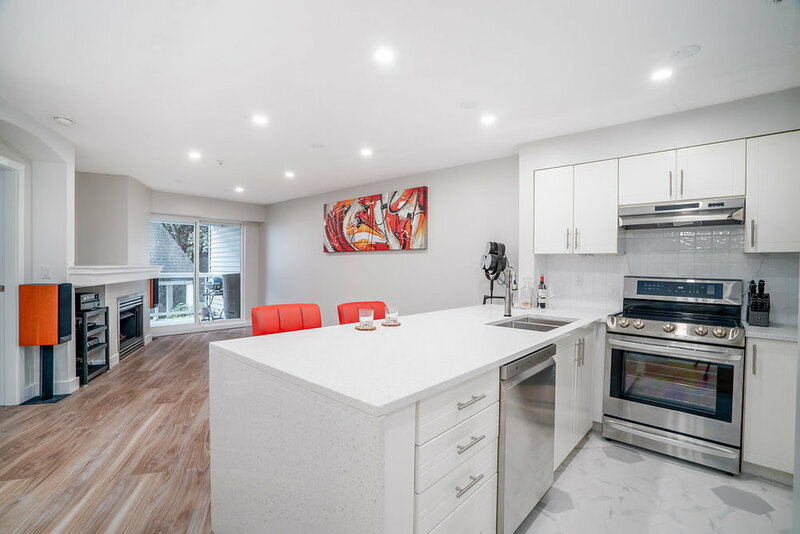 Also, the highest sale price of a 1-bedroom in Port Moody for 2019 (as of Jan 30th)! Spacious feel thanks to 9-foot high ceilings and large windows. Open concept kitchen with granite countertops, beautiful cabinets, and stainless steel appliances. Privacy from the courtyard thanks to a smart landscape design, where you can enjoy your impressive 240sf patio, perfect for BBQs and hosting, partly covered for year round use! Everything is right about this well kept complex with beautiful courtyards, an expansive exercise room, games room incl. pool table, and events room. Condo comes with one of the best parking spots in the complex, and there's also lots of visitor parking. Additionally, you're just steps from the Evergreen line, many breweries, cafes, and lots of shopping. Negotiated $19,000 Off The List Price! Arguably The Best Purchase Made In This Building In 2018! Welcome to The Spot! This penthouse loft boasts 16' high ceilings & 14' double-height windows making this home airy with a very open feel to it. Hardwood floors, south exposure city views, in-suite laundry, secure underground parking & storage locker are included. Penthouse level is equivalent to the 22nd floor since each level's suites are 2-floors. This building has amazing amenities including 360 rooftop deck, gym, & BBQ area. Located in the heart of Downtown Vancouver, Yaletown offers award winning restaurants, cafes, modern shopping, skytrain & a 5 min stroll in any direction to Downtown, Yaletown, Gastown, Coal Harbour and Chinatown. New Record for Highest Sold Price Per SqFt in the Glenmore Complex! Negotiated Into Contract: Construction of a Cabin, Construction of a Platform, Site Clearing, Dock Application & Septic Application. Value Estimated At $45-60,000. Plus $8000 Off List Price! 3.669 Acre Waterfront Property. Off grid and easy to build on Keats Island. Arguably the most spectacular views in all of Howe Sound. Keats Island is a 30 min water taxi from Horseshoe Bay, West Vancouver. Keats Island has been Vancouver's best kept secret for decades...a smaller Gulf Island consisting of five communities. Build that dream cottage you have always thought about. Start your island legacy... Peaceful, quiet, miles of trails through pristine forest, watch for the abundance of marine life, breathe clean air, clean water...stunning views. Its all here...right at your future doorstep. Sold in 1-Day & Also Set A New Record for Highest Price Per SqFt of Any Forest Facing Unit in This Complex! Great 1-bedroom + den with masterfully renovated hardwood floors, high-quality porcelain tile, and new carpet in the master-bedroom. Enjoy the tranquil forest view from your large 81sq.ft. balcony (BBQs allowed). Amenities include a car wash bay, bike room, great fitness centre, and lots of no­-hassle visitor parking. This is a commuters’ dream location, less than a 10min walk to the Evergreen Line (Moody Centre, which takes 44min to Waterfront Station) and West Coast Express (which takes just 25min to Waterfront). Just up the hill from Rocky Point Park and countless great breweries! 10/12 rentals allowed (2 rentals free). Negotiated $98,000 Off The List Price! Hidden Oasis in fabulous Pemberton Heights! If you like Pemberton Heights, this is it's "best pocket" and likely the best house available. Absolutely gorgeous West Coast Contemporary with tons of privacy and lots of space. Beautiful completely flat yard is perfect for a family and for entertaining. Very bright interior with windows everywhere, open plan, 4 bedrooms, 2 loft areas and 3 bathrooms. Two minutes to the freeway; 5 minutes to the Lionsgate bridge. Location and lifestyle! Sold for 61k Over Asking in Just 1-Week! 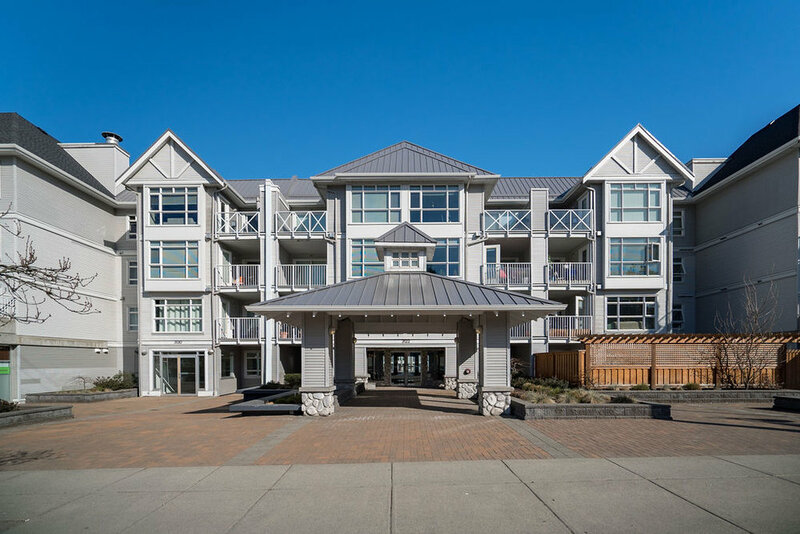 Gorgeous top floor suite with a magnificent unobstructed view of the Inlet and the North Shore Mountains. Large master with walk­in closet separated from the second bedroom. Vaulted ceiling on this top floor home. Balcony with BBQs allowed. Bonus, this unit comes with 2 parking stalls, lots of no­hassle visitor parking, car wash bay, and large storage locker. 10/12 rentals allowed (2 rentals free). Commuters' dream, less than a 10min walk to the Evergreen Line (Moody Centre, which takes 44min to Waterfront Station) and West Coast Express (which takes just 25min to Waterfront). Just up the hill from a neighbourhood park, as well as Rocky Point Park. Walking distance to Newport Village, and many close shops and dinner locations.